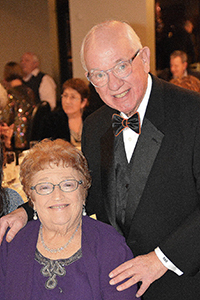 I have had the privilege of serving the citizens of Norton Shores as a City Councilman from 1991 to 2001 and then as your County Commissioner from 2002 through today. As your County Commissioner, I’m very concerned about the future of Muskegon County. I’ve put a lot of time and effort over the last twenty years to try and help make this community a better place to live. The future growth of our local economy, while maintaining our quality of life, is my most important platform as your County Commissioner. A new initiative I’m working on involves the creation of new jobs and businesses in our area by promoting entrepreneurism. I’ve created a new title for myself: Entrepromoter. As someone who has started businesses all his life and successfully created about 100 jobs, I think I can talk to people with ideas and dreams and encourage them to act on their ideas. 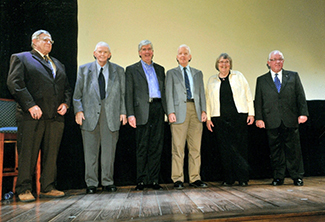 Muskegon has a long and proud history of startups and we need to ignite the potential entrepreneurs in our community. I need to be reelected to have a public platform to work on this new initiative. I am running for reelection as your County Commissioner in November. I believe I have brought the same ideas and principles that helped build Norton Shores and helped me build a dozen successful businesses … to the Muskegon County Commission. I’ve brought common sense and sound fiscal responsibility to the County, helping reduce our budget by over $22,000,000. I’ve helped make some terrific strides forward and I pledge to continue to work hard for you – the Citizens of Norton Shores and Muskegon County – as your County Commissioner. I will continue to work to move this county forward, to improve the lives of all its citizens and protect our natural resources. I ask for your vote in November! Have you ever thought of owning your own business? Do you have a great idea for a new business? There are always opportunities for entrepreneurs with vision, drive and the will to succeed. Begin the exciting journey today! Click below to learn more. another year on New Year’s Eve! 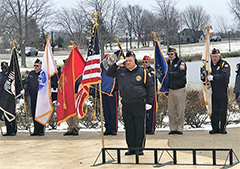 Beautiful Veterans Day Celebration today (Sunday, November 11, 2018) at Veteran's Memorial Park in Muskegon. 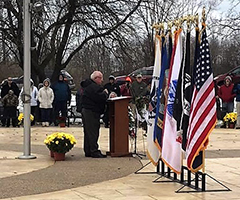 A large crowd, an Honor Guard, the Reeths Puffer Middle School Band, a "Laying of the Wreath" ceremony by the Daughters of the American Revolution and the Colonial Dames of America and a bonus: It was cold, but not windy, raining or snowing! Veterans Day is to honor all Veterans of our Armed Forces although it was originally created in 1918 as Armistice Day, to mark the end of World War 1, the "War to end all Wars". 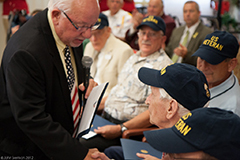 The name changed to Veterans Day in 1954 after World War 2 and the Korean War. I was honored to be the Keynote Speaker. Besides being a County Commissioner, I am a Veteran of the United States Army with four years of active duty, including service in Korea and Vietnam. I enlisted as a Private and when I left the service, I was a Captain. I've done a lot in my life and had some success, but I am proudest of my military service. I will post the text of my speech on my website HERE, but there is also a video of the entire ceremony thanks to Holly Hughes. The entire event was short, only about 30 minutes, and it was wonderful. Take a look HERE. If you're interested, I'm speaking from 2:50 to about 9:00 in the video. 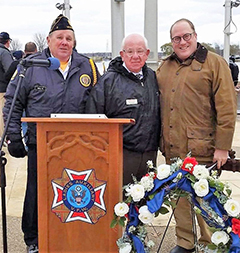 In the top photo, I am standing with the Chaplain Bob Hall and Norton Shores Mayor Gary Nelund, who always attends. 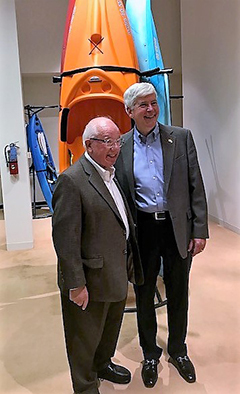 Bob joins Governor Snider at the Grand Opening of the new KL Outdoor/GSC headquarters, now the largest kayak manufacturer in the world. They have moved their headquarters to downtown Muskegon with the promise of $9.2 million in investment and 153 new jobs. The company“s new global headquarters will be in the black, pyramid-shaped building on the shore of Muskegon Lake that was once the home of SPX Corporation. Bob is on the job! 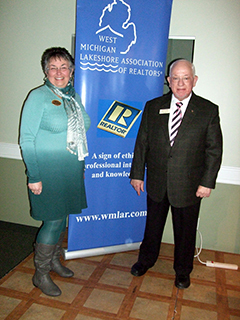 I had the honor of installing my friend Nancy Bierenga as President of the West Michigan Lakeshore Association of Realtors at Trillium Event Center in Spring Lake.